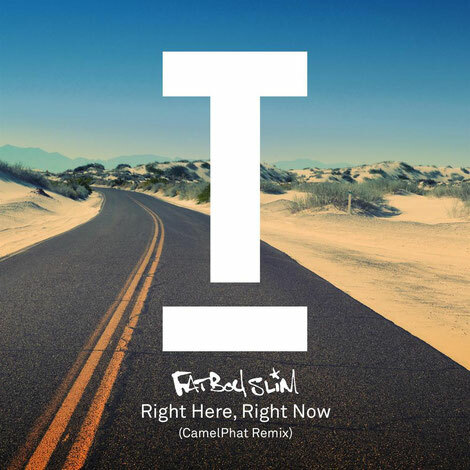 To celebrate 20 years since the release of Fatboy Slim’s album ‘You’ve Come A Long Way, Baby’ Toolroom present this release from Beatport’s #1 selling artist of 2017, CamelPhat, with a remix of what is arguably Fatboy Slim’s biggest ever track, ‘Right Here, Right Now’. Released as a single back in 1999 where it peaked at #2 in the UK charts, this was a real turning point in Norman’s career as Fatboy Slim - and one that propelled him to the next level of super-stardom. In amongst an album packed full of great tracks, ‘Right Here, Right Now’ stands apart. The infamous orchestration and vocal sample have soundtracked club nights, international sporting events and beyond – so it’s no surprise the track was voted as the 10th best dance record of all time by Mixmag. This new remix doesn’t need much introduction. After a Grammy nomination and top 20 UK chart hit ‘Cola’, CamelPhat deliver a high energy re-rub that could well be destroying dancefloors for the reminder of 2018 and beyond – a likely anthem in the making and one that maintains a lot of the key elements of the original track.